﻿ HDFC Bank - Harresment To Pay EMI ,after Knowing We Are Paying It A Little Slower Than Expected. 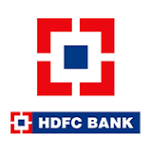 Home > HDFC Bank > HDFC Bank - Harresment to pay EMI ,after knowing we are paying it a little slower than expected. HDFC Bank - Harresment to pay EMI ,after knowing we are paying it a little slower than expected. I am a housewife ,my husband works on the oil rigs and was drawing a handsome salary....we had applied for a 20 lacs personal loan to renovate our ansestral house. We had been paying our emi's in time but past 6 emi's are pending due to downfall in the oil rigs and jobs there ...we have been paying in between as and when we get some money. Even paid a small amount of 10000/- for one month than 10500/-. This month I couldn't pay any and I told them to wait till the end of the month....but they have been harresing me and calling all known and unknown people and letting out all the information about us. 2 months ago I have paid 2 emi's together....my money is blocked with expat properties who owe me enough money to clear this debt. But they also seem to be having problem in paying it back. So what can I do to avoid these exorbitant threatening calls...I can't deal with as they are not ready to listen n wait till the end of the month.